Earn $13.77 in VIP credit (1377 points)What's This? 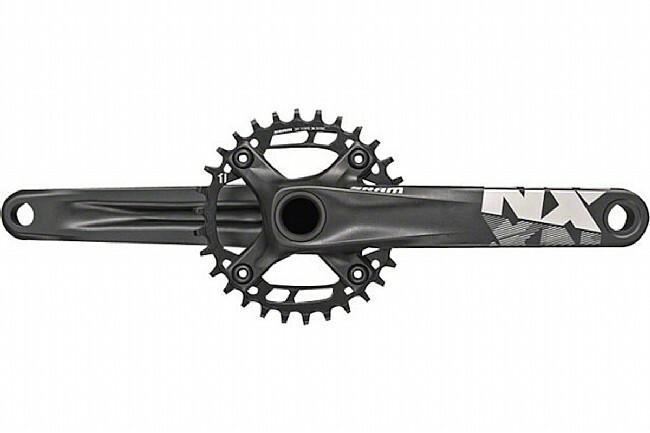 The SRAM NX 1x X-Sync™ Crankset offers high performance at a price low enough anyone can join the 1x revolution. Utilizing SRAM’s X-SYNC™ chainring, each tooth’s thickness is CNC machined to work seamlessly with the chain’s inner and outer links to make sure the chain will keep turning through the worst terrain. The 6000 series aluminum crank arms will stand up to serious abuse while providing efficient power transfer. Keep the pedals turning at a price that won’t break the bank.